How do I find my Simplecast RSS Feed URL? What is an RSS Feed? Where is your Simplecast RSS URL located? 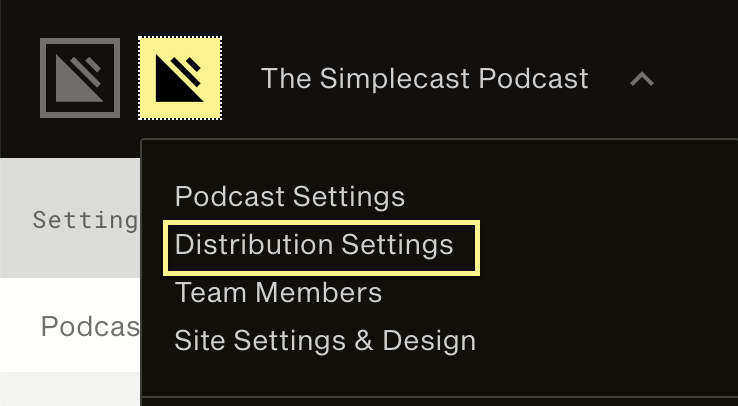 You will find your Simplecast RSS Feed in Distribution Settings (see below for detailed instructions on how to access). Note: Your RSS Feed is the backbone of your podcast, but it is not a link you will need to access or share very often. Your RSS Feed is what you will used to submit to Apple Podcasts Connect and major directories (Spotify, Stitcher....). The submission to directories only has to be done one time. Every podcast has a unique RSS feed and it is the backbone of your podcast. 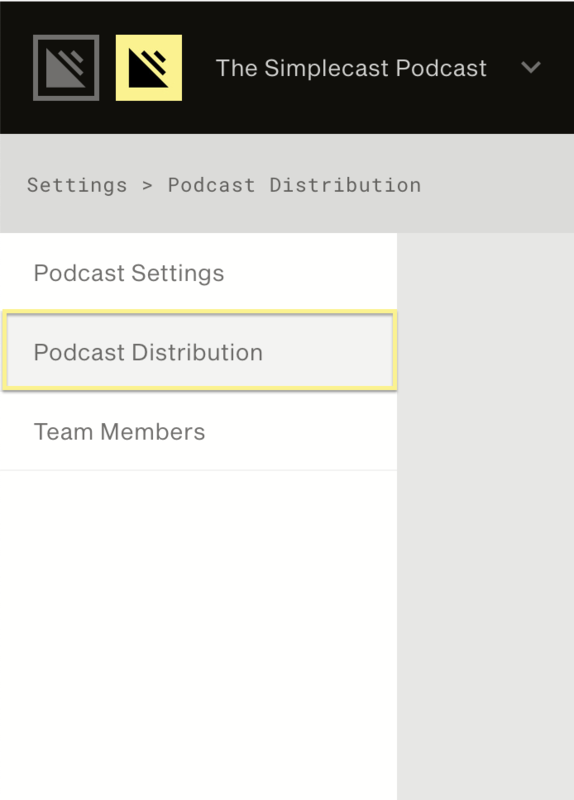 It is how your listeners subscribe to your show and is what you use to submit your podcast to Apple Podcasts Connect and the major podcast directories. RSS stands for 'Really Simple Syndication' and is a text document that contains all of the information about your podcast. RSS Feed URL's look like any hyperlink, but if you click it, you will see html code similar to a website. The code can be translated by feed readers such as Apple iTunes on desktop computers and mobile 'pod-catcher' apps such as Apple Podcasts and Overcast. When you make and save changes to your podcast in Simplecast such as publishing a new episode, your RSS feed will update in real-time. When your RSS feed changes, your subscribed listeners and podcast directories will receive the updates automatically. This is known as syndication and is the true power of RSS feeds. 🔥Pro Tip: Subscribe to your own Podcast RSS Feed to monitor changes. RSS Feeds do not have to be submitted to podcast directories in order to work. You can share public or private RSS Feeds as a hyperlink and they can be added manually to any feed reader. You must publish at least one episode to submit your Simplecast RSS Feed URL and to Apple Podcasts Connect and the major podcast directories. You only have to submit your RSS feed to a podcast directory one time. Once approved, the directories will update automatically whenever you publish a new episode or make changes to your RSS Feed. To troubleshoot your RSS feed at any time for validation errors, you can test using an RSS Validator. Where is your Simplecast RSS located?